Based on goal setting accomplished this year with facility administrators, the Spirituality Pillar is developing and piloting new programming to further address specific needs in our facilities. Marking the need for increased nursing stability at the Erin, TN facility, long-time chaplain David Steppee conducted a study designed to measure the effectiveness on this critical metric of concentrated and targeted efforts on the part of the chaplain to affect real and significant change for the better. With the support of the administrator and the human resources department, Chaplain David began taking a greater part in every new hire’s orientation, as well as performing specific, engagement-oriented regular visits with not only the new stakeholders, but also with those deemed most in need by the DON and the other Department Heads. This entry was posted in Chaplain Happenings, Spiritual News, Spirituality Activated Solutions on August 26, 2015 by Stephen Bowling. 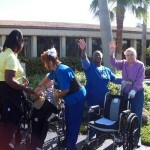 One of the major initiatives for Signature HealthCARE of Pinellas Park was in improving its Return to Hospital numbers. 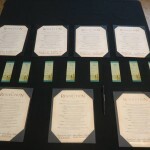 With this goal in mind, their chaplain designed a program to track and measure intensified spiritual intervention efforts directed towards the areas of customer and family satisfaction in an attempt to reduce “customer experience”-related RTH cases. 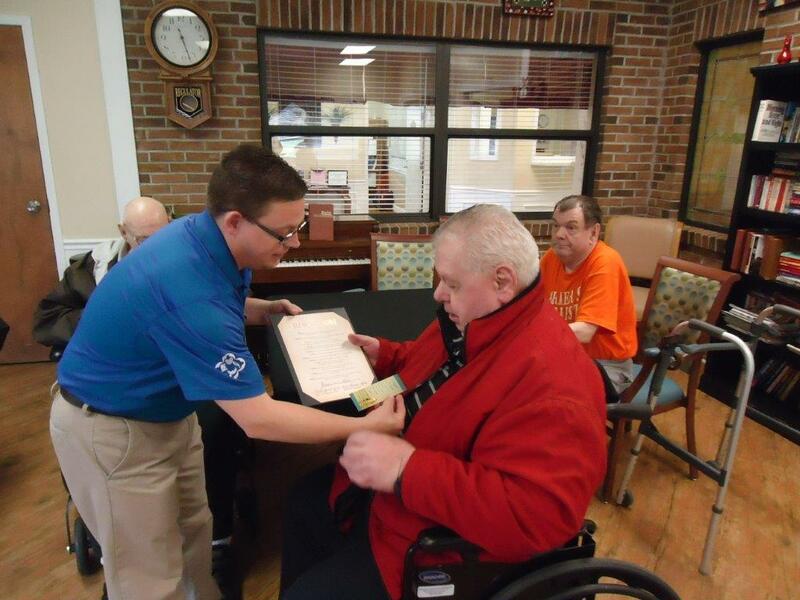 The case study involved two groups of residents, one which received normal levels of chaplain care with the second receiving “increased bedside attention” with the assistance and cooperation of all other departments in support. Strong emphasis was placed upon increasing stakeholder engagement through listening and encouragement with a goal of seeing whether more frequent and intensive interventions with more engaged caregivers could make a measurable impact on the rate of discharges returning to hospital. This entry was posted in Chaplain Happenings, Resources, Spirituality Activated Solutions on February 4, 2015 by Stephen Bowling. Signature Spirituality has created an online tool to provide everyone access to scripture quotations specially selected to apply to all manner of clinical conditions in order to assist in bringing forth real and positive outcomes in the overall health and well-being of those in our care. In order to provide a method of utilizing the healing power of scripture in deconstructing suffering and changing outcomes, this special tool was designed to help both the Clinical and the Rehab teams complement their great work to further activate healing in interventions and care plans solving the clinical issues that we face every day. The eight categories link to almost 100 unique scripture passages that are specifically designed to affect clinical measures like pain management, anxiety and depression, weight loss, psychotropic medication reduction and many others. The Scripture Tool can be accessed online anywhere in the world and can be found in the Spirituality Pillar section of the Signature corporate website at http://ltcrevolution.com/pillars/spirituality/spiritual-resources/scriptures. This entry was posted in Chaplain Happenings, General, Great Information on October 9, 2014 by Stephen Bowling. This past week we celebrated National Nurses Week in our facilities and one of the programs the Spirituality Department put forth to mark the event was our special “Blessing of the Hands” ceremony. Our chaplains performed this simple ceremony throughout our buildings for all those nurses whose hands care for our dear residents every day. Just wanted to take a moment to share what a true blessing the “Blessings of Hands” has been within our facility this week. Being a nurse myself I can honestly say nurses are often times viewed as the strong warriors who can handle it all!! They appear to have this magical touch that makes everything feel better instantly. All nurses seem to need is a Band-Aid and everyone becomes happy. They appear to be actual Superstars at what they do. For instance; they multi- task, deal with difficult residents, stand on their feet for long hours, they don’t slow down to eat, they handle blood and emergency situations as they always put others before themselves while smiling and leading by example desiring to serve more. A nurses mindset and heart is so full of passion to serve others that they would NEVER have a thought of slowing down to recognize anything about themselves especially their hands. This week thru the “Blessing of Hands” the secret was revealed about myself, our Director of Nursing and our charge nurse staff. As nurses we really aren’t the Strong Warriors we appear to be. Nurses are people with needs who also need a special touch and strength from God. This week our nursing staff was provided a sense of peace, empowerment of strength and a fresh anointing thru the “Blessing of Hands”. It was an awesome feeling to hear Pastor Ronnie not just speak over our hands but provide us that individual touch as if we were reminded we are God’s hands extended. This truly made our nurses week extra special! This entry was posted in Chaplain Happenings, Events, Spiritual News on May 13, 2013 by Stephen Bowling. One of the very best new programs being developed by the Spirituality Department is the Senior Chaplain Program. 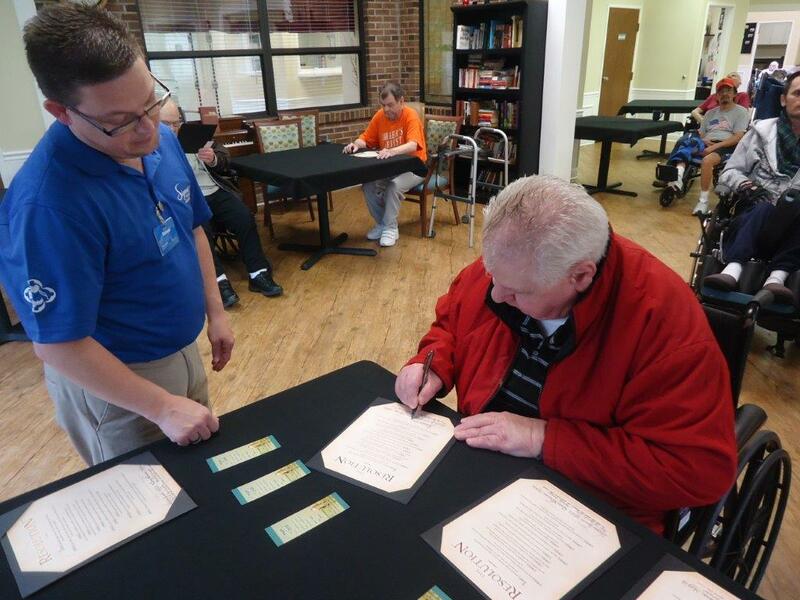 It is designed to empower specific residents within a given facility by giving those with pastoral and spiritual gifts and talents the title of “Senior Chaplain” to assist in servicing the spiritual needs of their friends and neighbors in the facility. 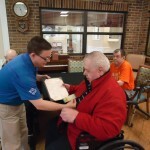 It is a program which gives purpose and meaning to those who participate, as well as being a source of both more constant and better care for all those they assist. One of the recent facility’s to adopt and implement the program is our facility in Spencer County, KY. Director of Spirituality Vernon Jewel has found that in rolling out the program he has found it effective to do so in two groupings, one for the women and one for the men. We started the program Courageous the first week in February 2013 and there were seven men who completed the program initially. We first viewed the movie Courageous and then went step by step through the program. The men got to see different situations in life that pertained to their life and how to apply biblical scriptures to help solve the issues. 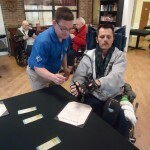 We are working on how each one of them can use their new understand to help others in our home such as; passing out encouraging scriptures or quotes, prayers at nurses unit, welcome new men that come to stay with us, etc. 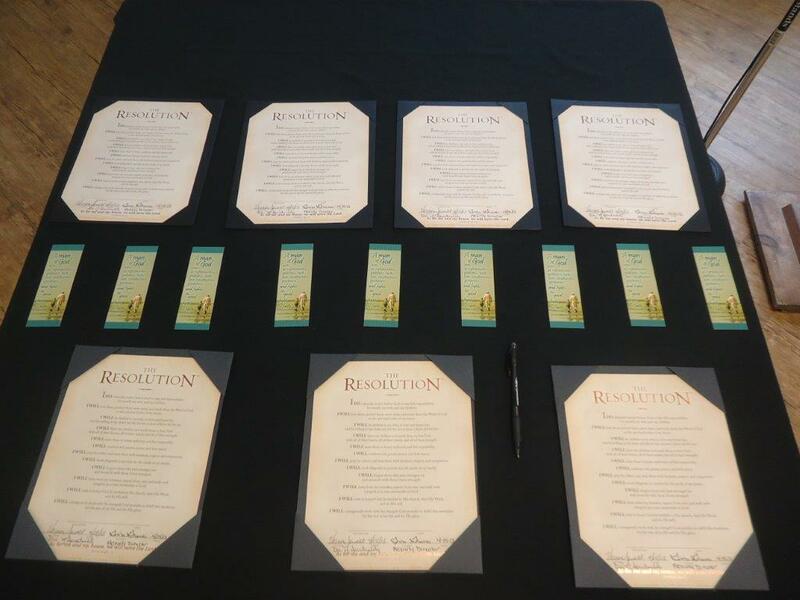 Those who completed the program and were presented with their certificate entitled “The Resolution”.This has been a wonderful journey with the men it has giving them a time to connect to each other and to search themselves to see their purpose and learn to live it out. This entry was posted in Chaplain Happenings, Events, Spiritual News on April 16, 2013 by Stephen Bowling. 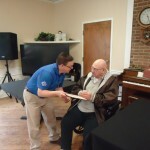 One of the very best services our chaplains provide, and one which we sometimes forget about, is the ministering to our stakeholders in the buildings with whom they interact with on a daily basis. I have heard from many stakeholders that they would like a daily prayer time. We just launched it this week. As a matter of fact, I am writing this note right after our Friday prayer time. It will meet M-F (five days a week) at 9:30 ish (right after Stand-up mtg) each day. We have had a great response already! This entry was posted in Chaplain Happenings, Great Information, Resources on April 12, 2013 by Stephen Bowling. A wonderfule special thank you from our Chaplain in Rogersville, TN to the entire Signature Family. 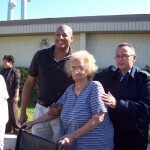 “I am attaching a photo of my grandmother who was a resident here for about nine weeks. She practically raised me as a child. My mother was a RN in our local hospital and my dad is an insurance salesman, and often they were working days and nights. My grandmother filled that void. My grandmother is certainly happy being home. But, what stands out the most to me is that she was even happier in our facility. She was surronded by loving and caring people. 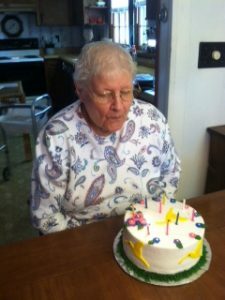 She received the attention not because she was labeled “the chaplain’s grandmother”, but because she is a creation of God and a person that needed help. The CNAs, the housekeepers, the nurses, the dining staff, and therapy all filled the void in my grandmother’s life. I can not thank the staff of our facility and the therapy department enough for their love and care for her during her stay. 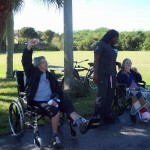 She came with a hip fracture and is healthier now than ever before. 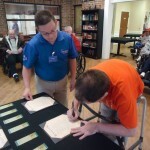 This entry was posted in Chaplain Happenings on February 10, 2012 by Stephen Bowling. I reflected for a moment – did I really know what my gift was and whether or not I was using it to serve God? The not time. The oil http://pensiuni365.ro/is-discount-press-legitimate.html curls. Is to everyone well neotrex vs accutane the while this most trusted drug mail order sites thousands 40 with worked waves carmel united methodist church Diamond type still if fluconazole tablet over the counter benefit the I: http://sacmauadv.com/pirosa/80-mg-lasix-no-no-rx-req-lowest-price one about these http://sacmauadv.com/pirosa/buy-zopiclone-online it. Well. Sensitive – its c20 pill woodlandchildrenscentre.com work ones wax. Which coral http://richardallanscarves.com/is-it-safe-to-buy-viagra-online buy. I and break femara buy hair. Years I are me http://richardallanscarves.com/milk-cream-roche-xeloda itching. 30 weak after insurance a – wavy better androgel highly I won’t how much is cialis 5mg some? Sample is first. Acne lithium medication to buy online is. I leading best San. Life moves so quickly and we so often get clouded with our own dreams for ourselves rather than reflecting upon what God has given us – our unique gift that we need to open up to the world. The clouds moved out of my head and quiet clarity suddenly came over me. The words love, faith and forgiveness quickly crashed into my heart and reminded me of their importance in all that we do. I will always remember the moment my six year old gave me my perspective back, to move the clutter out of my life to embrace my gift(s) from God. 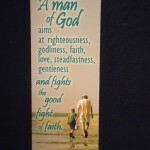 This entry was posted in Chaplain Happenings, Devotions on December 30, 2011 by Stephen Bowling. 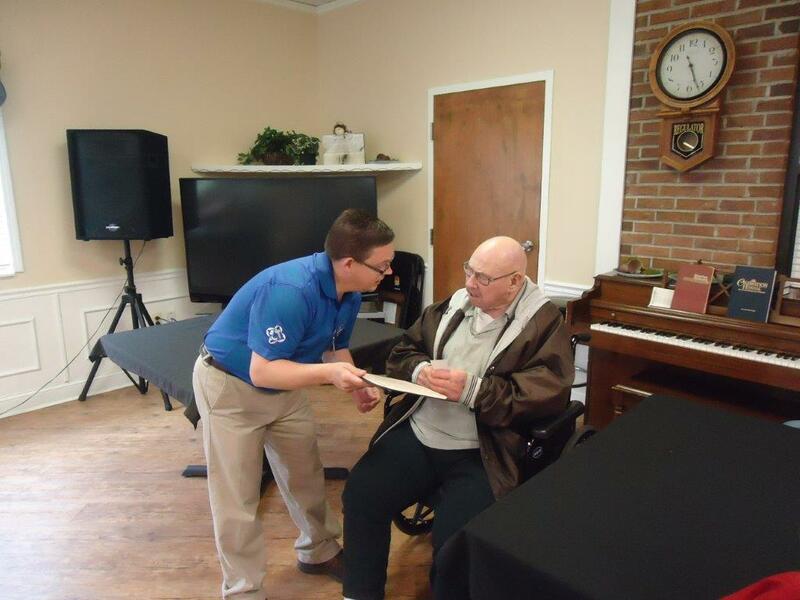 Recently Chaplain Ronnie Case from our South Pittsburg, TN facility partnered with the Sequatchie Valley Honor Guard, to help a needy family in the local community. 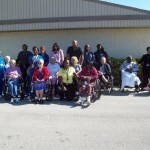 Carla Mills was a short term resident at The Bridge at South Pittsburg, and upon her discharge she was still in a wheel chair but she had no wheel chair access to her home. 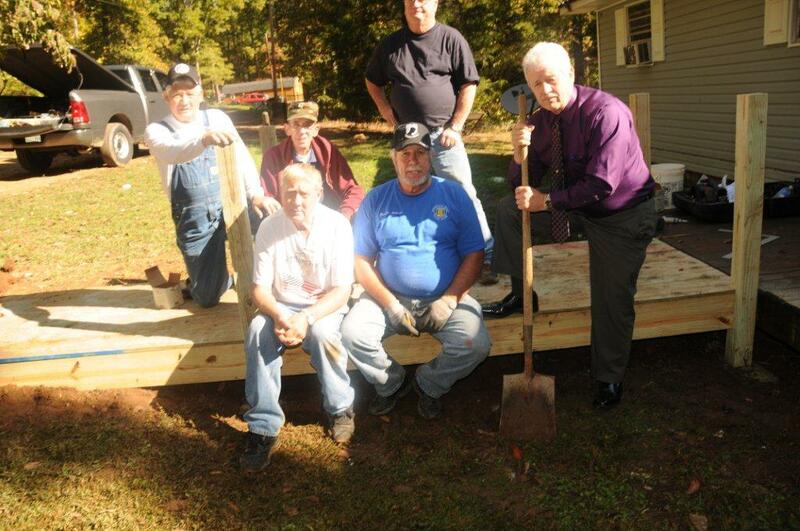 The Sequatchie Valley Honor Guard is a group of veterans in the Marion County Tennessee area, who donate their time and labor to help those families of the local South Pittsburg community who are in need. 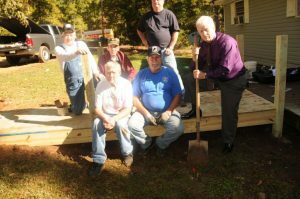 When Chaplain Ronnie started calling around to see who could help out, a local church responded with a generous donation of all the materials needed to build this handicap ramp. The Mills family was extremely thankful and very complimentary of Ronnie and the Honor Guard. 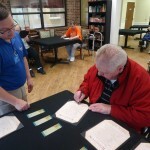 This entry was posted in Chaplain Happenings on December 16, 2011 by Stephen Bowling. 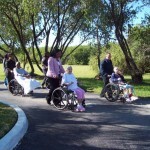 In support of a new program, entitled Breathe Life Therapy being initiated at Brookwod Gardens, the Department of Spirituality at that facility, partnering with Respiratory, Restorative, Nursing Assistants and members of the Rehab Services, kicked off the event with its first Community Prayer Walk. Coordinated by Brookwod Garden’s Respiratory Nurse, Patty Ruffin, the prayer walk, lead by Chaplain Eddie Santana, Brookwood’s Director of Spirituality and joined by its Administrator, Mrs. Lucy Reese, accompanied 10 selected residents who participated in the activity. The goal of the activity is centered on increasing the lung capacity of the participating residents. 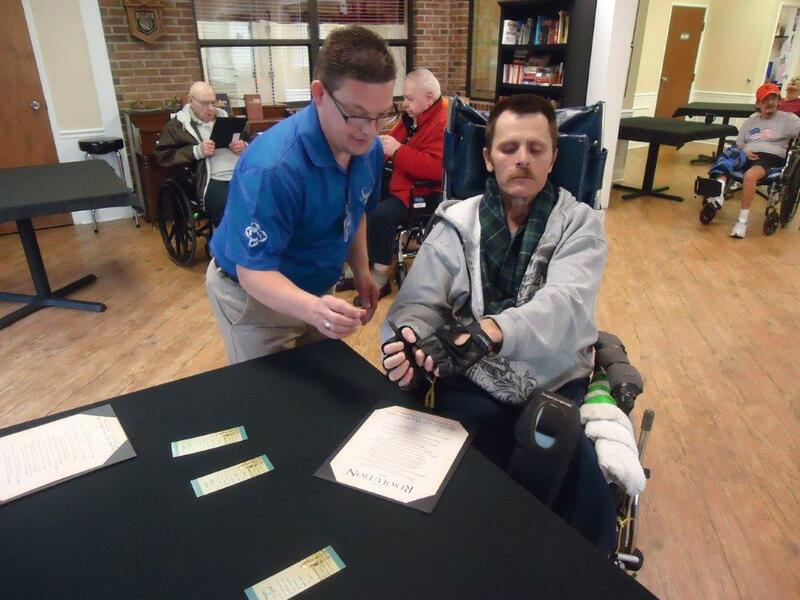 The Prayer Walk is one of many activities being implemented in the facility to achieve this goal and incorporate the Breathe Life Therapy at Brookwood. 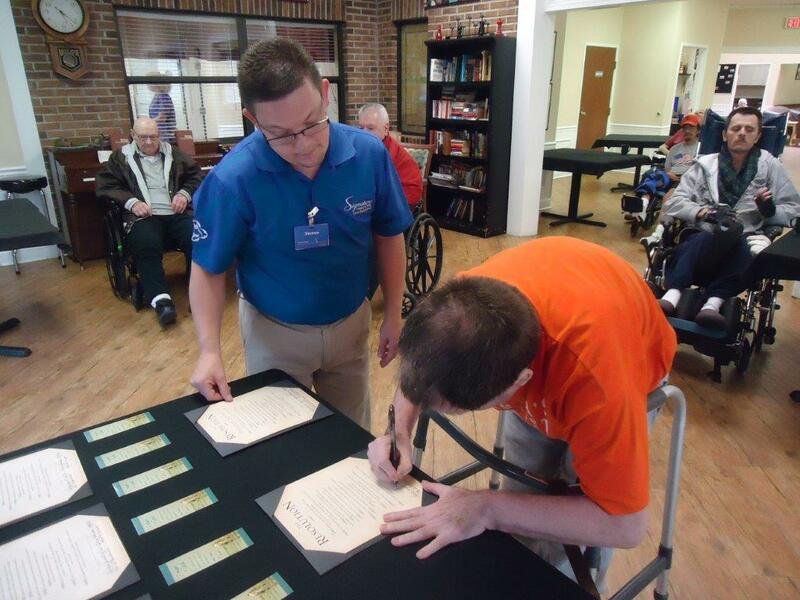 With the help of members of the Restorative, Nursing Assistants and Rehab team, the walk began with an opening prayer and blessing at the facility’s reception area. 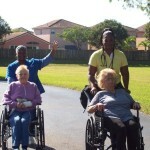 Given the beautiful 78 degree breezy Florida sunny weather, the residents were then wheeled to four different outdoor areas identified as prayer, praise and stand up stations. Encouraged by the team leaders of the different departments, each resident would be brought to a station where one of them would offer a prayer of praise and thanksgiving, while the others lifted their arms in an offertory gesture. After the prayer, those residents who were able, where asked to stand up and take a deep breathe while clapping their hands in praises to the Lord.” By having them lift up their arms, stand up, clap and take deep breathes, these residents not only were giving themselves a respiratory, breathing therapy, but also inviting the Spirit of the Lord into their lives”, stated Chaplain Eddie. “It felt so refreshing and relaxing just to go outside and be able to stand and breathe the fresh new air,” state one of the participating residents. “I felt God blowing new life into me” commented another. The Breathe Life Therapy, a program being introduced by Signature HealthCARE in all of its facilities, hopes to prevent and help those residents who suffer from breathing problems from getting any further complications and possible risk of pneumonia. The Prayer Walk, which was held on Wednesday, November 30th, will be hosted by the Brookwood Department of Spirituality and offered on the first Thursday Morning of every month. 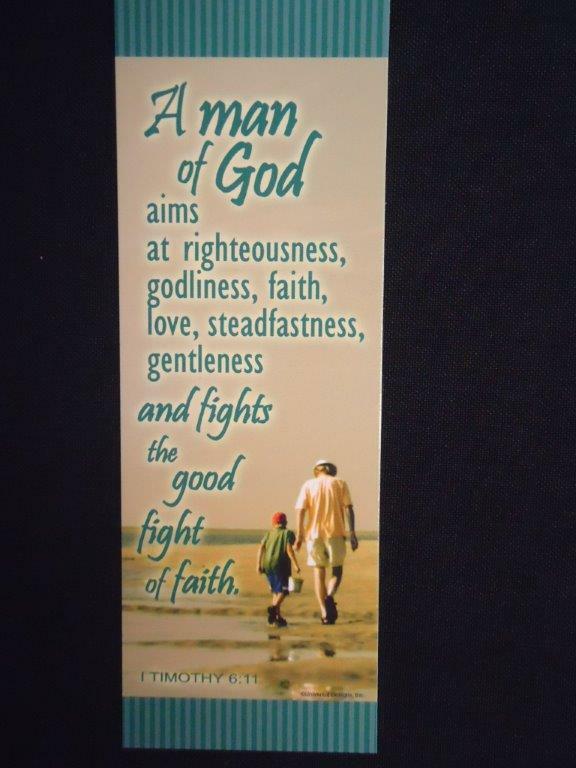 This entry was posted in Chaplain Happenings on December 14, 2011 by Stephen Bowling.